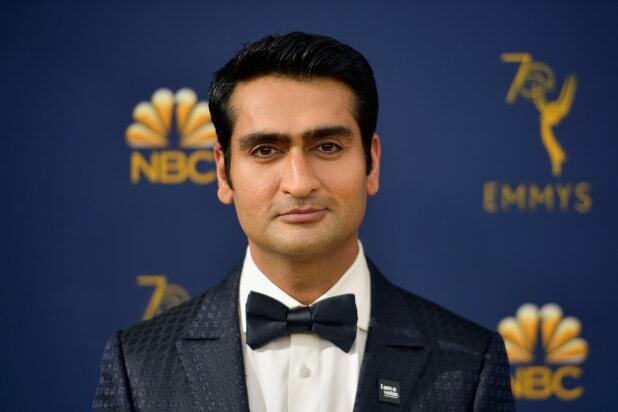 “Big Sick” star Kumail Nanjiani is in talks to star in Marvel’s “The Eternals,” which focuses on a group of ancient human beings, an individual with knowledge of the project told TheWrap. Details about Nanjiani’s character is being kept under wraps. “The Rider” director Chloe Zhao will direct the film. Matthew and Ryan Firpo (“Ruin”) are writing the script. Marvel Studios chief Kevin Feige is producing. Created by comic legend Jack Kirby in 1976, the Eternals are a race of ancient human beings created a million years ago by the cosmic entities known as the Celestials. According to ComicVine, the Celestials accelerated the evolution of a handful of subjects and gave them the genetic potential to mentally manipulate limited quantities of cosmic energy, as well as other superhuman traits. The story will focus on the female Eternal known as Sersi, (no, not the character on “Game of Thrones”), several insiders have told TheWrap. Angelina Jolie is currently in talks for the role. “We have started working on what are the films post-phase 3,” Feige previously told TheWrap, referencing the forthcoming fourth part of the Marvel Cinematic Universe’s slate of movies after the wind-down of franchises based on the original Avengers. Nanjiani recently earned an Oscar nomination for co-writing “The Big Sick” with wife Emily Gordon. Nanjiani will next be seen in Sony’s “Men in Black: International,” which is set to open June 14, and action comedy “Stuber,” which Disney/Fox will open July 12. Nanjiani is repped by UTA, Mosaic and Schreck Rose. The Hollywood Reporter first reported the news. How Will ‘Captain Marvel’ Play Into that ‘Avengers: Infinity War’ Ending and ‘Endgame’?